When it comes to selling your used car, you might find that some drivers narrow their search to basic specifics, like year, size, or mileage – and for some sellers this can be a serious benefit, especially if the car they’re trying to sell happens to be super desirable. For others, however, things like negative reviews or poor resale value can be a serious setback to successfully selling a used car, and it really all depends on what the trends are and what your consumer is looking for. If you’re telling yourself “I’m going to sell my car today,” but can’t quite seem to get your compact model out the door, it might help to know what kinds of vehicles used car buyers are looking for and want to buy. While this may not help everyone trying to offload a compact car, it can give a seller a better perspective on what kind of model consumers are looking for, and where your compact vehicle for sale fits into what buyers want near you. Not having too much success finding a buyer for your used compact car? Here’s a look at the top seven compact hatchback models from the past few years, and a little insight into what makes them so desirable compared to the rest. Take a look and you might just get a better idea of where your car fits in the rankings. For superior sport-tuned performance and a well-outfitted model that’s kind on the wallet, there are few options more immediately desirable than a stylish, sporty Mazda 3S. The 2008 model came especially well outfitted, with a scrappy 2.3L four-cylinder, capable of 156 horsepower and a respectable 29 mpg highway, available as an upgrade to the standard 2.0L four-cylinder, which could push out only 148 horsepower, but managed an impressive 32 mpg highway in the process. A powerful little hatchback, the 2008 Mazda 3S also comes standard with a unique DVD-based navigation unit, as well as available heated leather seats and an easy remote starter for total convenience. While a little cramped in the cabin, this powerful compact is easily one of the most desirable in the past decade. When it comes to finding a reliable compact, few can match the upscale convenience and safety features that come standard on the well-outfitted 2008 Volkswagen Rabbit. This sporty German model offers prime passenger protection thanks to its standard front, side, and side-curtain airbag system, as well as its high-stregth frame with specifically designed crumple zones to keep you and all your riders safe in any accident. A high-tech engine immobilizer helps prevent theft while you’re away from your Rabbit, while a cutting-edge electronic steering system helps keep you in control on the road in just about any adverse conditions. 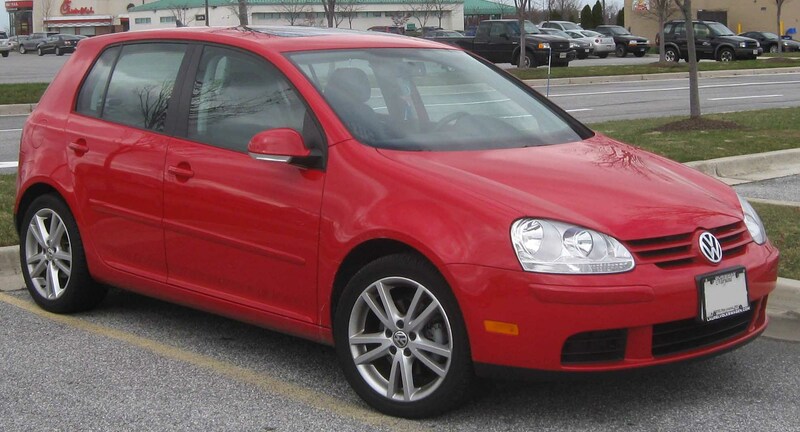 Optional features like a six-speed automatic transmission help make the 2008 Rabbit sportier than ever, while the available power sunroof and sunshades make this German hatchback surprisingly desirable among the American public. If you’re holding on to one of these classic models, you’re likely to see a good chunk of change at sale time. Of course, if you’re one of those millions of drivers living in cold, snowy climates, a compact car might not necessarily be your first choice – if, that is, you aren’t familiar with the fantastic all-wheel drive compacts available to you, including the 2010 Subaru Impreza. This powerful little all-wheel drive hatchback also came in a super sporty 2.5GT turbocharged model, offering much more raw power under the pedal and giving the driver something to be proud of on the road. These options typically aren’t even available in the competitors’ compacts or even hatchbacks, and with these impressive powertrain options you can confidently conquer even the worst winter weather in your powerful Impreza. 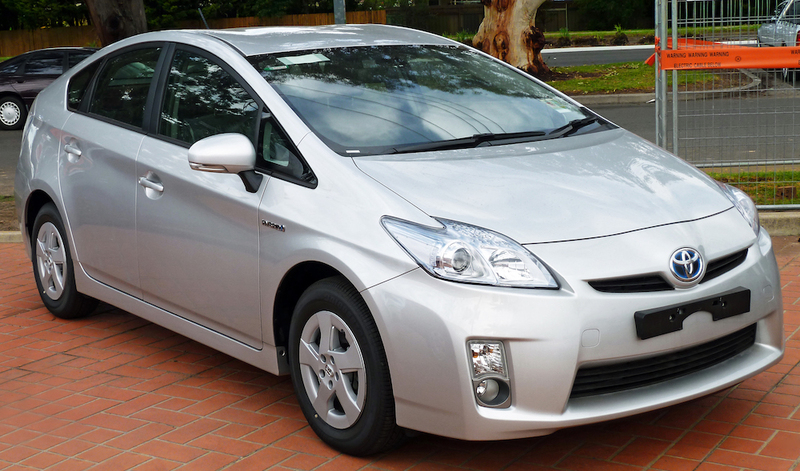 If efficiency tops your list hands-down in your search for a quality used hatchback, there’s simply no better option than a 2011 Prius. Promising up to 51 mpg city and 48 mpg highway, this hybrid hatchback is built to take you farther than ever on a single tank of gas and charge of the electric battery. Whether you’re more the type to enjoy the electric motor’s instant acceleration or the churning power of the gas motor, you can choose your optimal driving style between the all-electric “EV,” mid-range “Eco,” and performance-focused “Power” drive modes. 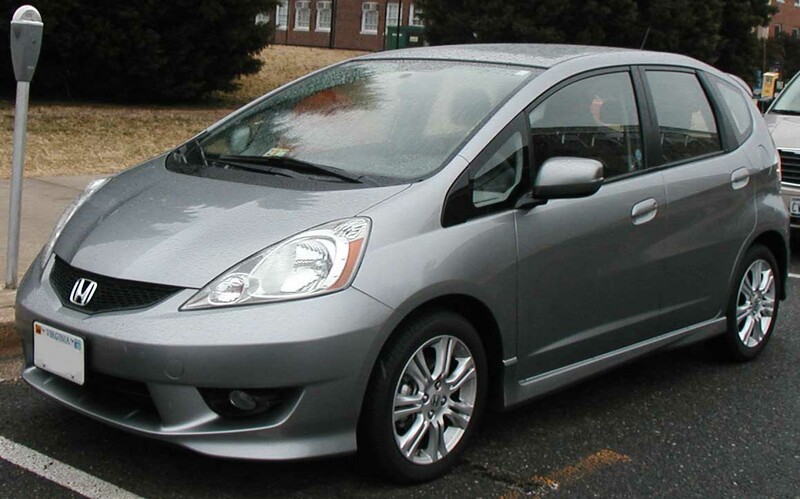 Passengers who hate having their legs cramped up in a compact can turn to the 2000 Honda Fit for a supremely comfortable ride, even on those super long road trips. This is thanks in part to major design elements like a roomy rear seat, ten beverage holders throughout, and plenty of storage space for personal effects. These small touches all work together to create one incredibly inviting interior, ready for hours at a time spent watching the road go by in style. Plus, with a highly efficient drivetrain capable of up to 35 miles per gallon highway, you won’t be weighed down by stopping for gas at every other exit off the highway. Plus, with folding rear seats opening up a maximum of 57.3 cubic feet of cargo space, you can confidently fit all your gear with you no matter where you take your hatchback. 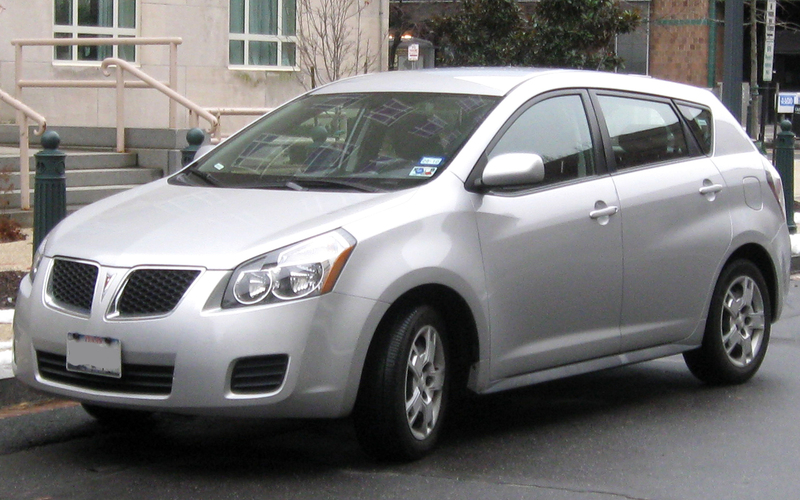 Of course, part of what makes a hatchback so desirable is its unique place as a crossover between a utility vehicle and a standard sedan, and although most compact models tend to sacrifice power for size, the 2009 Pontiac Vibe retains its impressive utility abilities thanks to its impressive 2.4L engine and all-wheel drive option, both of which combine to bring some serious power to this little cruiser. Pushing out 158 horsepower and 162 lb.-ft. of torque, this impressive utility hatchback offers plenty of towing and hauling power for its size, and with traction stability technology and a five-speed automatic transmission, you may be surprised by just how much you can accomplish with the compact and stylish Vibe. While technically a crossover, this compact SUV offers something most other compact cars don’t – a little breathing room. Seating for five allows for a comfortable ride even on long trips, while the spacious cabin even opens up to 31.5 cubic feet of available cargo seats. This all comes, however, without all the trappings of a bulky SUV, as witnessed in the whopping 22 miles per gallon city and 32 miles per gallon highway fuel economy. 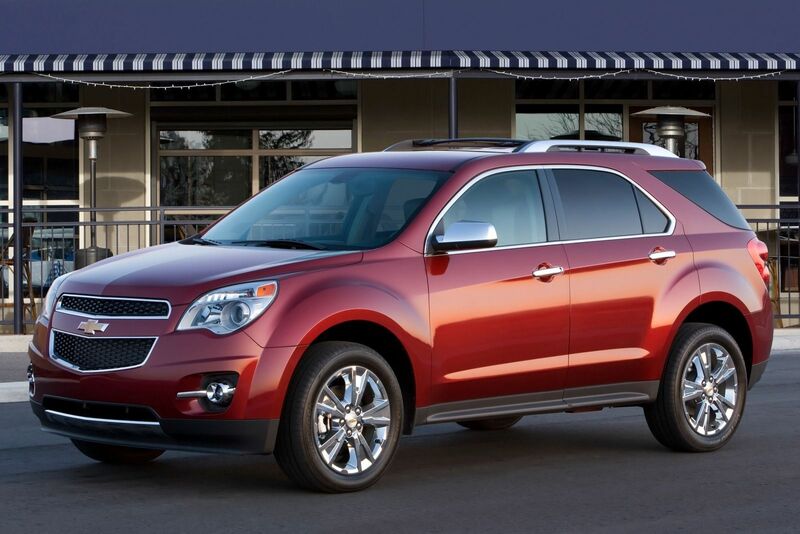 A front-wheel drive hatchback, the 2012 Equinox won rave reviews when it was released and continues to be a popular used model among compact lovers who need a little extra space to work with. Plus, with a standard six-speaker audio system and Bluetooth phone connectivity standard, the Equinox is particularly well-outfitted for a used vehicle, and provides a good deal of modern amenities for a relatively low price. Whether you’re a long-time hatchback lover or simply need a little bit more room, but don’t want a hulking SUV taking up room in your driveway, there are plenty of affordable used hatchbacks to fit your purpose out there waiting to be claimed. With just a little know-how and the right idea about what you’re looking for, finding that perfect hatchback can be as easy as getting in contact with your local used car dealer. Whatever your choice may be, there’s never been a better time to hop on the hatchback bandwagon – so get yours today, and get going.